Currently, these are the men and women who served during WWII and Korean War years. In addition, we put terminally ill veterans from any era at the head of the line. Our plans are to begin Vietnam War veterans on regular flights in the spring of 2017. Accordingly, WWII veterans will continue to have top priority, with Korean veterans next. We will call Vietnam veterans in sequence by the dates of applications received. It is our goal to take Senior Veterans on this trip of celebration as long as donations from the public continue and volunteers are available. The Honor Flight Guardian Coordinator will assign each veteran a trained volunteer guardian who may or may not be of the veteran’s choosing. 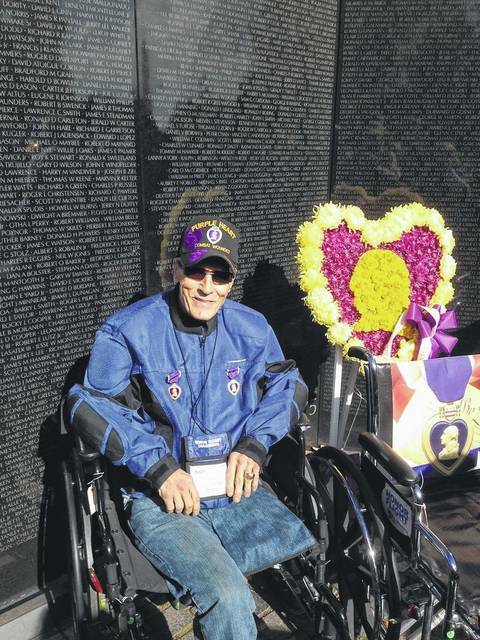 Guardians are selected depending on the needs of the veterans on a flight. Anyone who wants to be considered as a potential guardian must submit an application. Each guardian applicant must fill out a Guardian application form located here. Safe travel is the goal of everyone involved. All assigned guardians are required to take a three-hour training course 9 days before a flight and meet other requirements including a guardian donation of $300 to help offset their costs for the flight. In addition, a spouse who is not a veteran may not accompany the veteran. Seats for those who served are limited.